Walk your dog in the early morning or afternoon, avoiding the middle of the day when it is hottest. Avoid leaving your dog in a parked car, even if it is only mildly hot out. Remember, it only takes a few minutes to cause serious injury - even with the windows cracked. Have water available at all times. 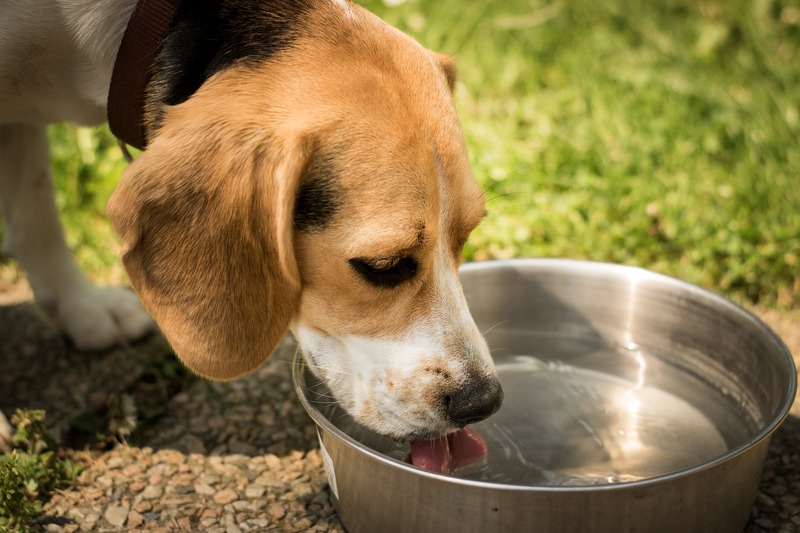 If out walking, offer water to your dog about every fifteen minutes. Indoor pets are only protected from the heat if the indoor temperature is kept cool. Try to cool down the house as much as possible before leaving. You may also want to consider leaving the air conditioning on a low setting, covering up windows, or leaving pets in a cool bathroom. Don’t forget that hot pavement can scorch paws! If it’s too hot for you, it’s too hot for them. Protective booties may help to prevent burnt paw pads. Consider summer grooming styles for dogs who have heavy coats. 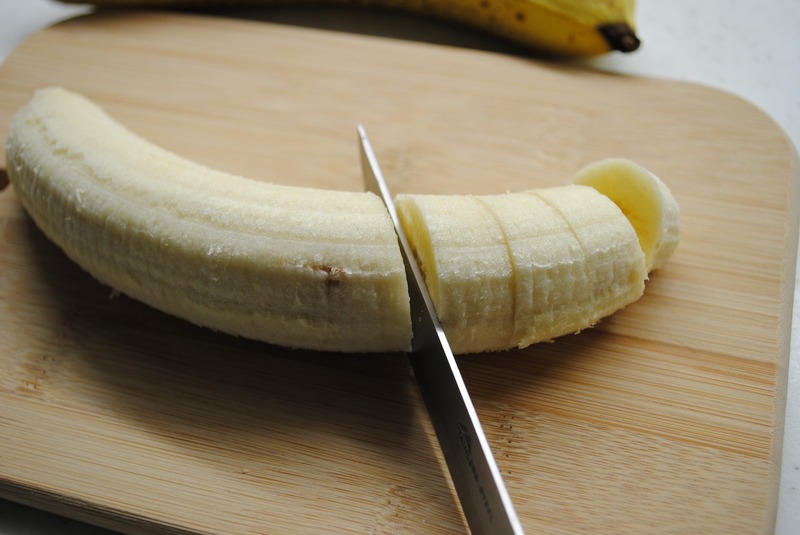 In addition to these preventative precautions, you could offer them a nice cold treat. Check out these cool and easy dog treat recipes that are sure to be a hit this summer! Not only is this a sweet treat that will help cool down your pup, but it may have health benefits too. Check with your vet for your specific dog, but it is believed this treat could be beneficial for pets with inflammatory bowel disease as well as cognitive dysfunction. However, it’s important to be aware that feeding coconut oil on a regular basis will increase the overall fat content in your dog’s diet. It can also worsen pancreatitis. Every pet is different - the best thing to do is consult your veterinarian before giving your pet coconut oil on a regular basis. For full recipe and instructions, go here. This frozen treat is so simple and perfect for summer! 32 ounces plain yogurt. Yogurt is a great probiotic for your pup's tummy, and a great source of calcium. Just avoid buying any with artificial sweetener, especially those containing xylitol, which is toxic. For the full recipe and instructions, go here. Kids and popsicles during the hot summer months go hand in hand. This is a great idea to let your fur kids in on the action. The original recipe calls for pork rawhide sticks. We recommend swapping these out for products like dental chews. Not only are these more easily digestible, they have an added benefit of tartar control. For specific recommendations, please get in touch with us! 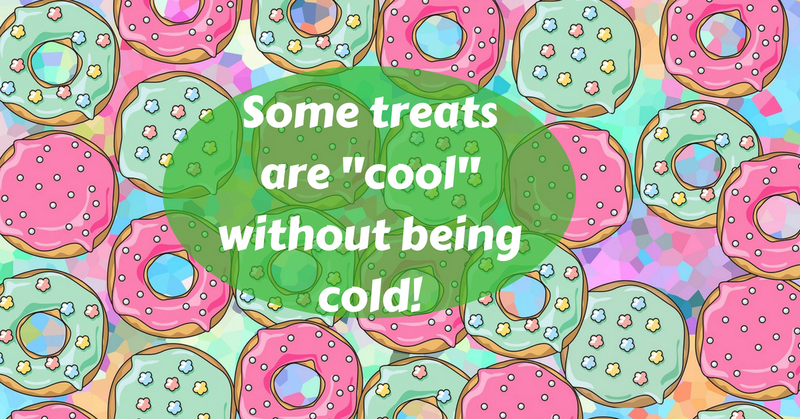 The next two treat ideas may not physically cool down your dog, but they are just too “cool” not to try! Move over Unicorn Frappuccinos; this treat is for the dogs! This dog biscuit is simple and simply cute! Now your pup can partake in a little bit of donut indulgence with the family. This easy homemade dog donut is sure to have your dog begging for seconds! Just a reminder that treats are just that - treats. They are meant to be an occasional way to dote on your dog. Every pet is different, so it’s best to consult your veterinarian if you have any dietary concerns. If you have any questions, feel free to contact us here.